Desirable end unit townhouse with RIVERVIEWS at the end of the cul de sac. Spacious, luxury town home with new kitchen, dining area, living room with fireplace and view of the mighty Hudson river and Palisades. 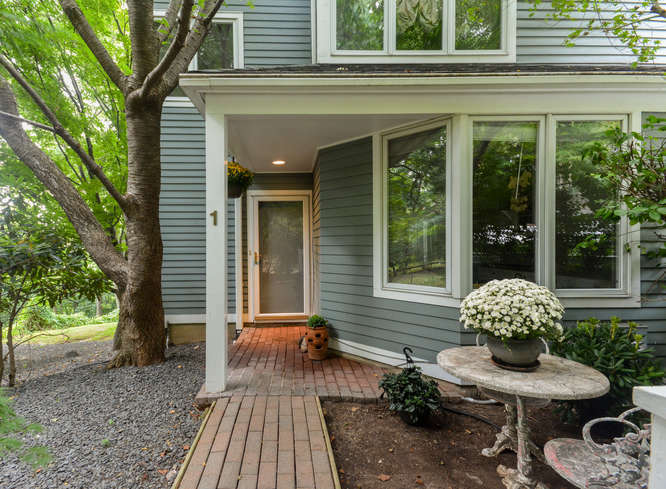 Relax on the deck overlooking the river and the Croton aqueduct or the lower level patio and enjoy the privacy of the corner unit with plenty of green space for entertaining or playing. Generously proportioned rooms including Master suite, upper level loft perfect for home office and finished walk out lower level. A perfect transition from city life or life time home! All in the heart of Hastings, just 35 minutes to Grand Central Station! The Rivertowns Area Cleans Up in Best of Westchester 2014! The Best of Westchester through Westchester Magazine is a great way to learn about celebrated community resources and support our local businesses. This year, businesses in The Rivertowns area won in several categories. I have compiled a culled down “Best of Westchester 2014” list which focuses on our area. Enjoy!